Of course, numbers never tell the whole story, but we are nonetheless so grateful for the story that our latest niumbers are telling. Thanks to the record breaking generosity of so many people and organisations in the UK, our latest annual accounts, just published, show our highest ever annual income. 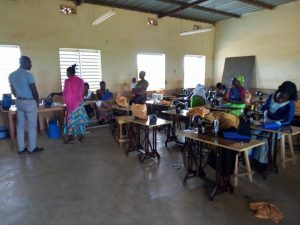 As a result, we have been able to support projects that help even more people in Burkina Faso, including these students pictured at our new ‘job booster’ vocational training programme. For more stories behind the nuimbers, please browse the web site or sign up for our quarterly newsletter below. Please note that, due to processing problems on the Charity Commissioin web site, these accounts are not yet available to view on their system, but we are assured they will be soon.